Figuring out which book to read next can be tough, but assuming you follow some bright, intelligent people on Twitter, ParrotRead can use their knowledge to find reading recommendations. ParrotRead doesn't do anything magical or tap into anything other than what people post on Twitter. 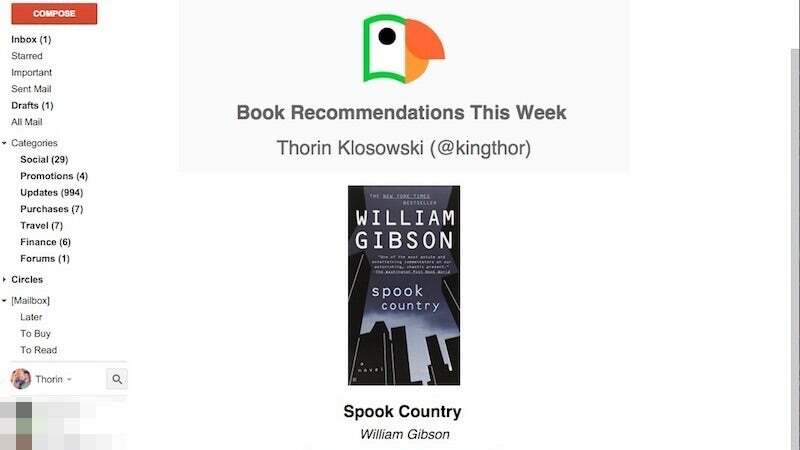 If someone you follow posts about a book, ParrotRead snatches that up, then sends it to you in a weekly recommendations newsletter. ParrotRead is probably not going to replace other book recommendation services, but it's a nice addition that captures some suggestions you might otherwise miss.